Flextronics Recruitment 2018-19 scheduled for freshers Engineering graduates for the role of Associate Software Engineer at Pune/Chennai Office. The detailed eligibility criteria and application process are given below. 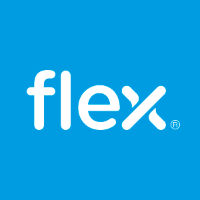 How to apply for Flextronics Recruitment? Fresh Engineering graduates B.E/B.Tech Passed out 2019. Mandatory Knowledge of computer software applications, MS Excel, Word & PowerPoint (PF). Strong Development and Testing skills. Should have good knowledge in Coding, Debugging, unit testing and SDLC. Must have good Debugging and Communication Skills. Should be ready for both locations (Chennai/ Pune). Integration, Unit Testing, Regression Testing. Perform other related duties and tasks as assigned or as become evident.